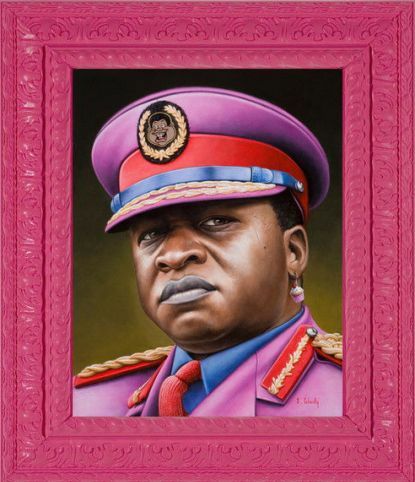 What does it mean when we say that an art expression is politically charged? Isn’t almost every piece that comes from the field of urban and street art enriched with a political connotational level? (read more on this topic in our articles Urban Art’s Symbols of Resistance and Defining Street Art?) The answer is yes. Relations that we create with people closest to us – that’s politics. Relations we form when becoming a part of a community or an institution – that’s politics. And finally, relations we form with numerous public discourses in one way or the other – that is, most certainly, politics! When it comes to art, all of these modalities of relationships come together in one singular visual expression. 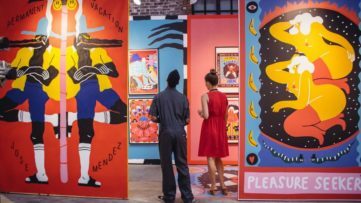 Which leads us to the center of our story – Widewalls brings you a selection of 10 artistic expressions from the year that is behind us. And this is crucial – the vastness of the field of urban and street art is so diverse, that we couldn’t have chosen only artworks, or books, or projects, nor exhibitions which focus on the political plane of our existence – we have chosen to show you our favorite art expressions, whatever the form they might have taken. 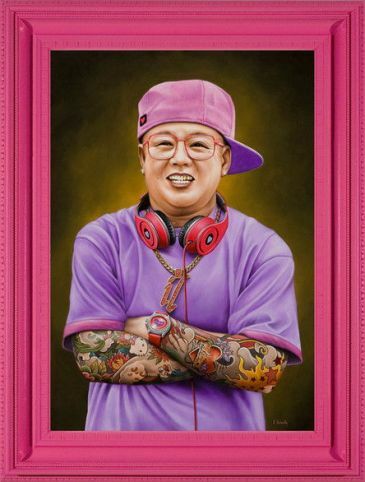 Only days away from the beginning of 2015 – be prepared for the next year by creating a profile via My Widewalls! 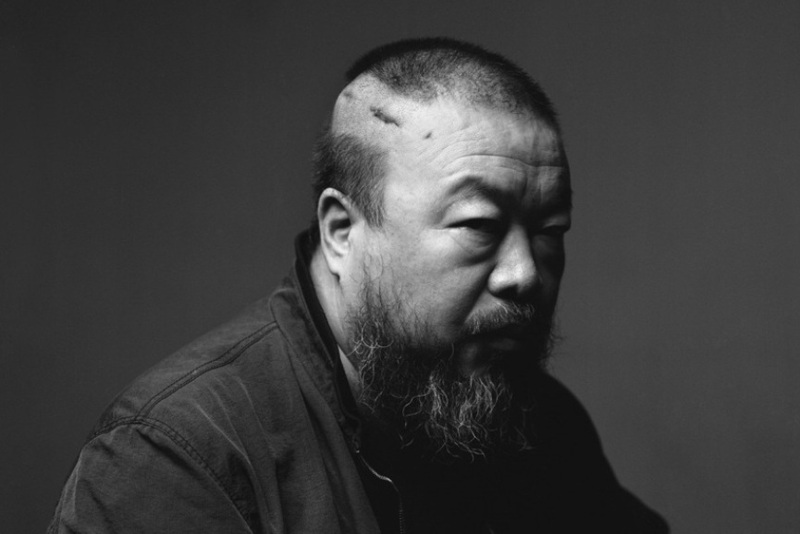 Sign up for FREE and start exploring the vast field of Urban and Contemporary Art! During 2014, Syrian conflict entered into a third year of bloodshed and endangering lives of innocents. 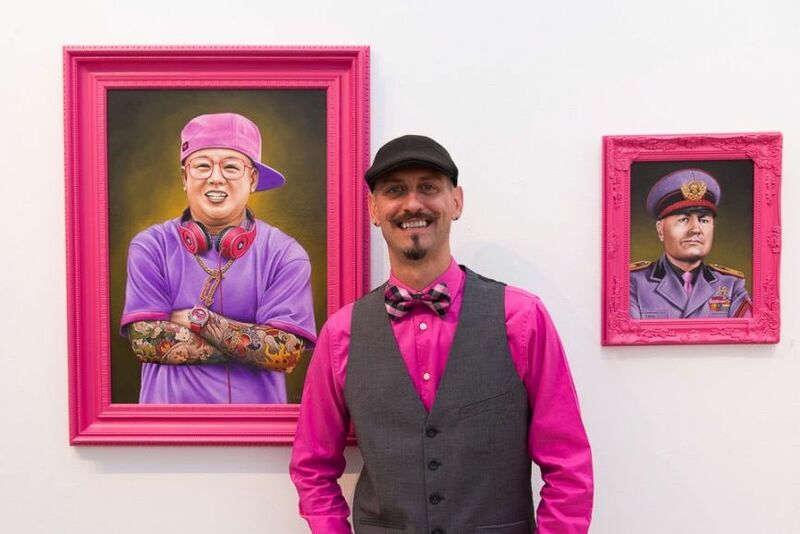 The conflict isn’t the only one this year which had represented a great inspiration and had been a source for the urge to react (read more in Rewind: Urban Art Inspirations of 2014). In this regard, the #WithSyria project started its activities in a goal to raise awareness about the conflict and encourage people to donate money and share the important messages of what is going on in the war-torn Syria. Banksy’s site reminded us that on March 6th 2011 in Daraa, a town of Syria, 15 kids got arrested and tortured for writing graffiti with a clear democratic message. Protests that were organized afterwards induced violent clashes which grew into a full-blown civil war, which resulted with 9.3 million people being forcefully removed from their homes. 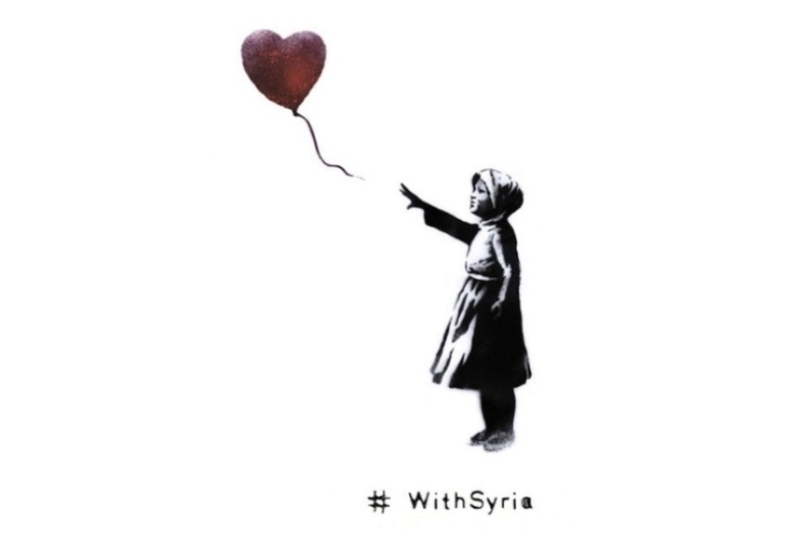 In this regard, we do not want to highlight the fact that Banksy participated in the global call for action, but rather point out how his balloon (Syrian) girl represented the potential force and good-heartedness of street art. Perhaps, at times, a single print can be enough to articulate a significant symbol showing opposition to hegemonistic force in one society. However, there are those special circumstances when an entire movement can emerge in order to react to the newly formed situation in a society. 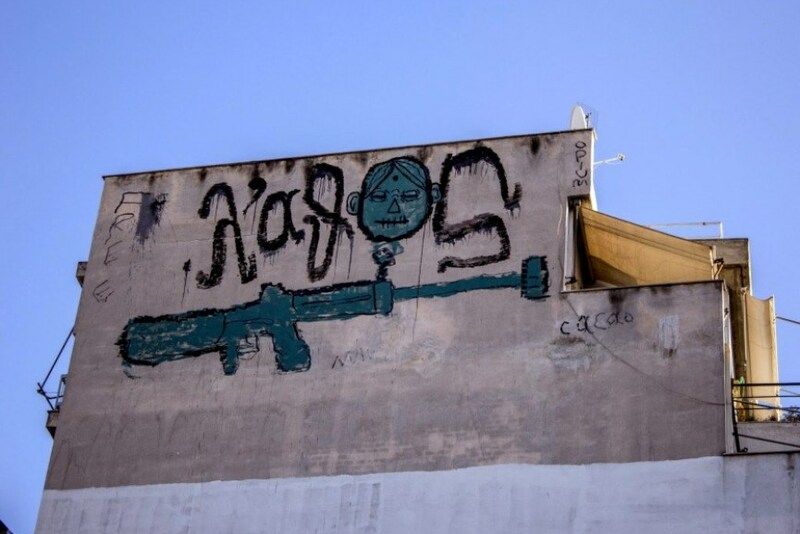 After the economic hardships struck Greece heavily during and after the years of recession, as a form of a reaction to the new situation in the society, more and more graffiti artists began to emerge at the surface of urban life. Street artists such as INO, MaPet, Bleeps, Absent or Cacao Rocks focus their expression on the concepts of revolution, change and rebellion. 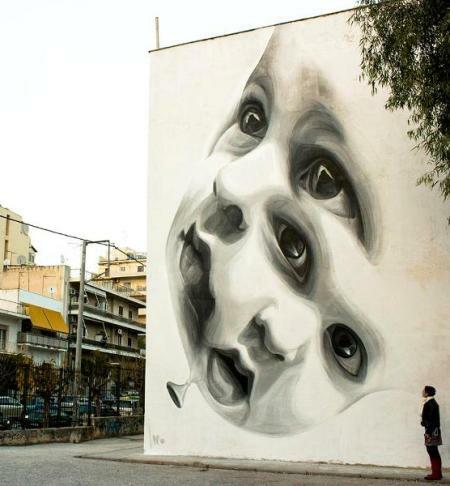 So, as one of the most powerful politically inspired expressions of 2014, we give you the entire street art movement of urban Greek life which is growing by each passing month (find out more in Urban Art Originating From Social Upheaval). 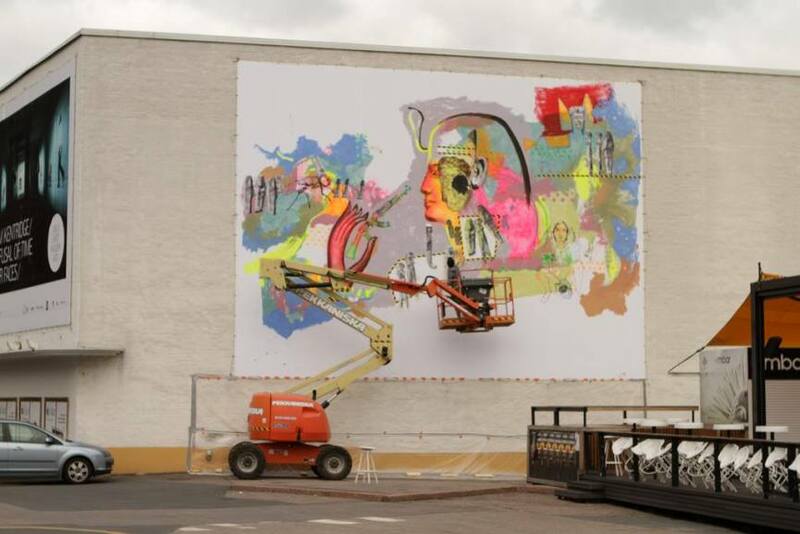 The driving force of the globalised economy, embodied in the proliferation of consumerism driven societies, has had so much influence on the nature of street art (read more in Street Art Advertising). 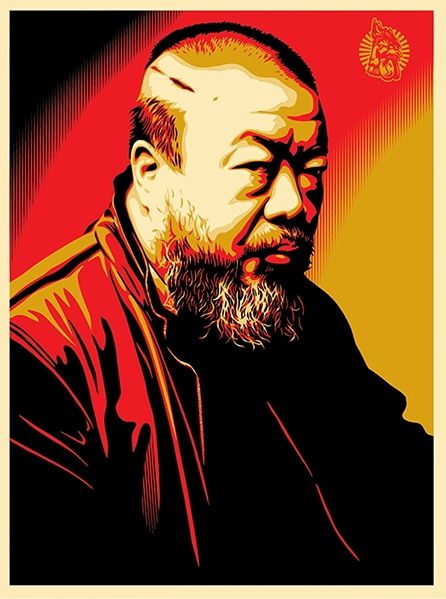 But, what is more important, it is not only a question of commercialism appropriating artistic expression more and more, but also a question of waging a political fight for the meaning of the presence of art in the boundaries of economy systems. A paradigmatic project for this kind of expression is surely My Dog Sighs’ Free Art Friday: “When I started my Free Art Friday project I was putting canvases out on the street, but lack of funds quickly led me to look for a free canvas, skip raiding old floorboards and cardboard. By taking new object like canvasses on the street I felt I was somehow littering the place I enjoyed living in. By finding objects on the streets, like food cans flattened by passing vehicles, I was able to add a new narrative to my work. These objects had served a purpose and fed a family but were now teetering on the end of their useful life. By painting them I was able to give them a second chance. I gave them lost melancholic faces in order that anyone walking past would feel compelled not to ignore them but to cherish and want to give them a new home. It doesn’t take a genius to relate all these element to a greedy throw away society that dispels the unwanted, ignores the lost” says My Dog Sighs (be sure to read the entire Widewalls interview with My Dog Sighs). 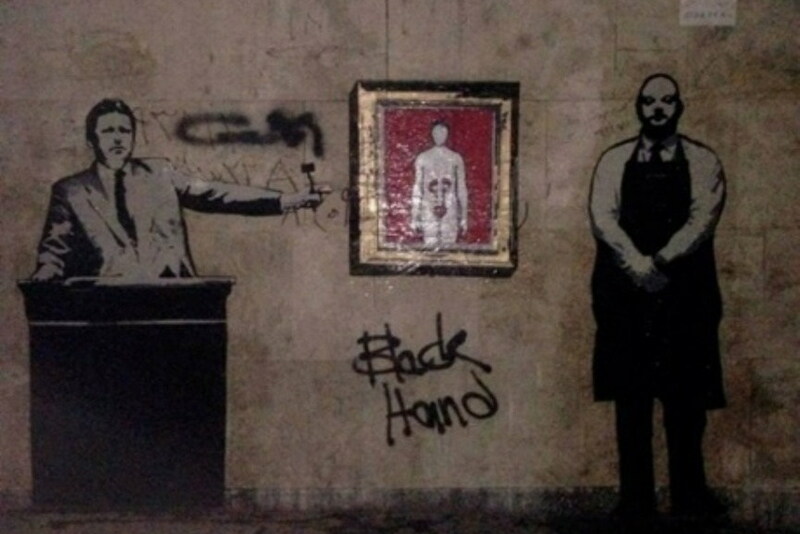 One of the most powerful artistic expressions of 2014 came with the emergence of a street artist with an unknown identity in the cultural space of Tehran – Black Hand. The artist had been changing the walls of his city with strong socio-political messages which dwelled upon various public discourses concerning gender equality, animal rights, government oppression, as well as the position of street art in the society. In present day political events, while diplomats along with representatives of major powers discuss the conflicts in Iran, Black Hand continues to send messages of peace with street art conveying straightforward symbols saying Enough fighting, continue with diplomacy. 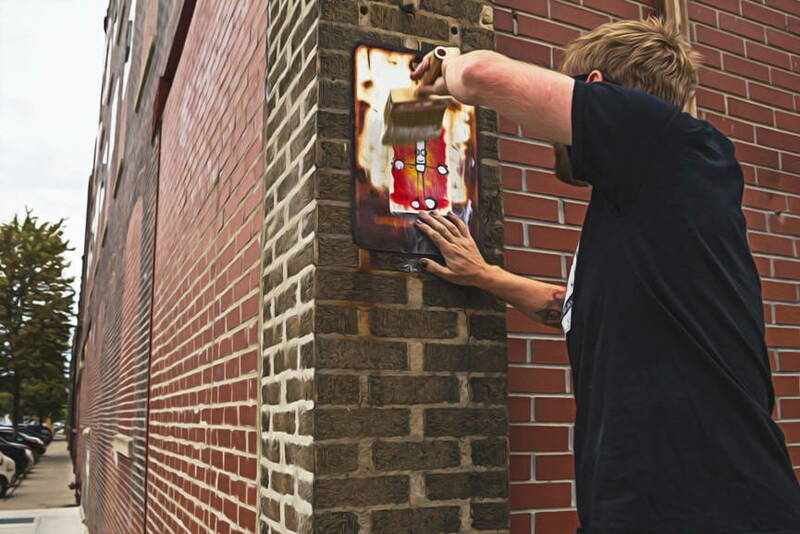 Although socially conscious street artists struggle with artistic expressions in all societies, the battle for freedom has a different tone in societies where artists are systematically oppressed. 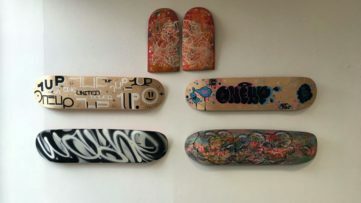 In this kind of situation, emerging street artist represents an important and meaningful inspiration for generations opposing the ongoing conflict in their community. 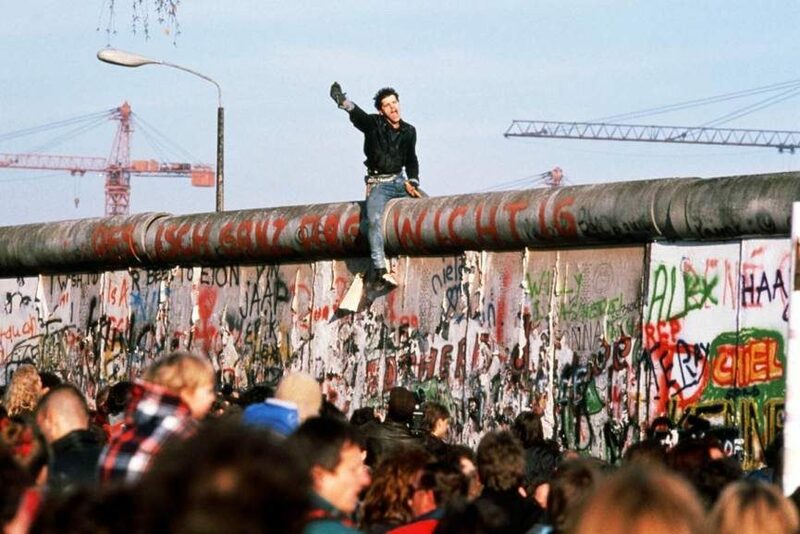 2014 was the year when Berlin, Europe and the world celebrated the fall of the Berlin Wall. Project The Forgotten Pioneers Movement explored the experiences of the last, transitional European pioneer generation between socialism and post-socialism. Main focus of the event was the societal perspective of an artists’ generation that grew up in the “post-Western” Europe of the 1990s. 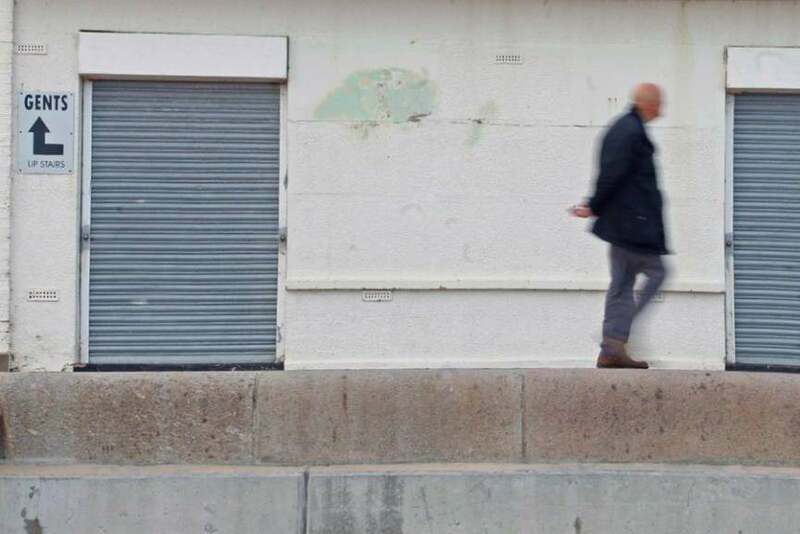 Through various performances at a number of different locations in Berlin, this project activates the process of bearing witness to these “last pioneers” who experienced the perestroika and the collapse of former socialist states as children and adolescents. 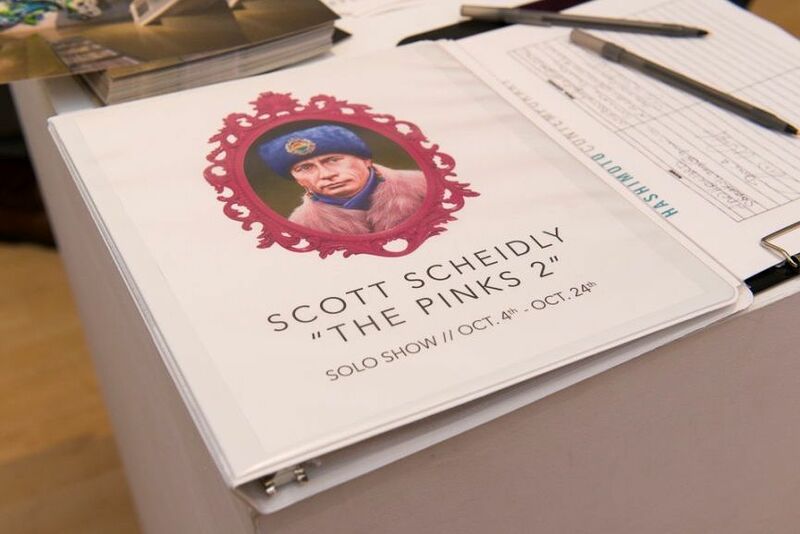 It featured exhibitions, performances, public seminars and a guide book. Thus, the project represents an inspiring embodiment of the political culture of remembrance (be sure to have a detailed look in our feature article The Forgotten Pioneers). 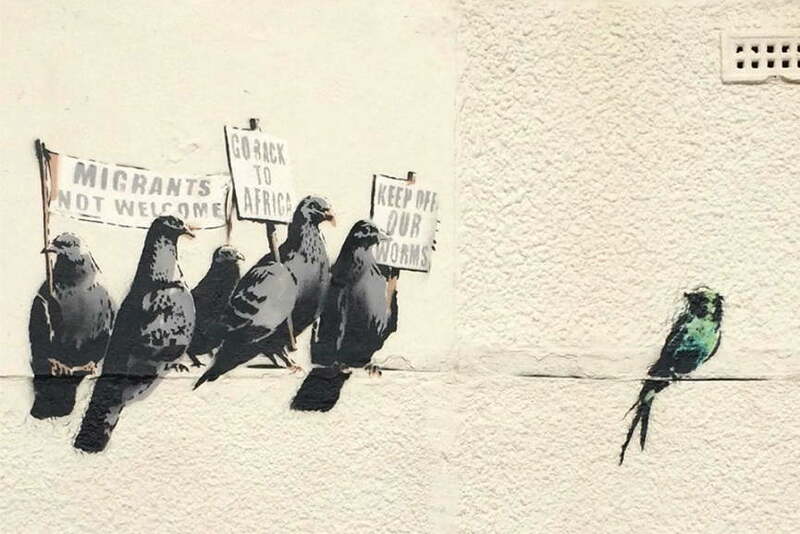 During the month of October, the street art loving community had been preoccupied with Banksy’s whereabouts. A grand part of us had been patiently waiting for the release of Banksy Does New York, while some other followers of the legendary Bristol street artist got busy with an enormous hype in the field of the virtual reality. 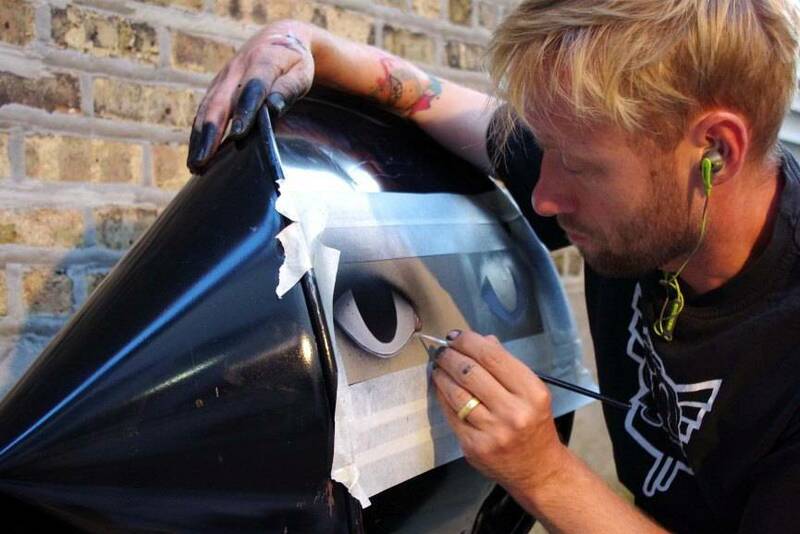 Stories of Banksy’s arrest became viral on the web, only to be shot down within hours. However, when the artist reemerged with three new street art pieces, one of them was a catalyst for a strong political commentary… It can be said, arguably, that this is the “classic” Banksy – in the sense of the creative expression: Birds of a Feather are something that we have learned to love about Banksy’s artwork – direct political commentary, meticulously designed stencil and situated in the right cultural context (apart from tourism, Clacton-on-Sea is know for ongoing local political debates on immigration issues). The artwork has been destroyed with a swipe of paint, indicating that it had had an impact and achieved a desired effect. To read more about autumn activities of Banksy’s followers and the artist himself, be sure to check out our feature O Banksy, Wherefore Art Thou Banksy? In 2011, the entire society of Egypt had been intertwined in civil resistance, as strikes, non-violent disobedience and, in time, full scale riots overwhelmed the cities of Alexandria, Cairo and others. The revolution was part of the complex international politics phenomenon which was referred to as the Arab Spring. Citizens took over the streets of cities in Egypt in an act of the wide opposing to the 30-year-long rule of, at that time president, Hosni Mubarak. Years later, the nation had felt the effects of elections, trials, military juntas and a coup d’état and hundreds of dead and injured individuals… Walls of Freedom is a book created through the collaboration with artists who have been on the frontlines of resistance, creating in the midst of the propaganda-driven media and the storm of political uprising… The book is fueled with the force of essays by artists and experts as well as moments captured by acclaimed photographers. It is a study which manages to contextualize graffiti in the complex socio-political, cultural and historical elements of a turbulent cultural period in Egypt. 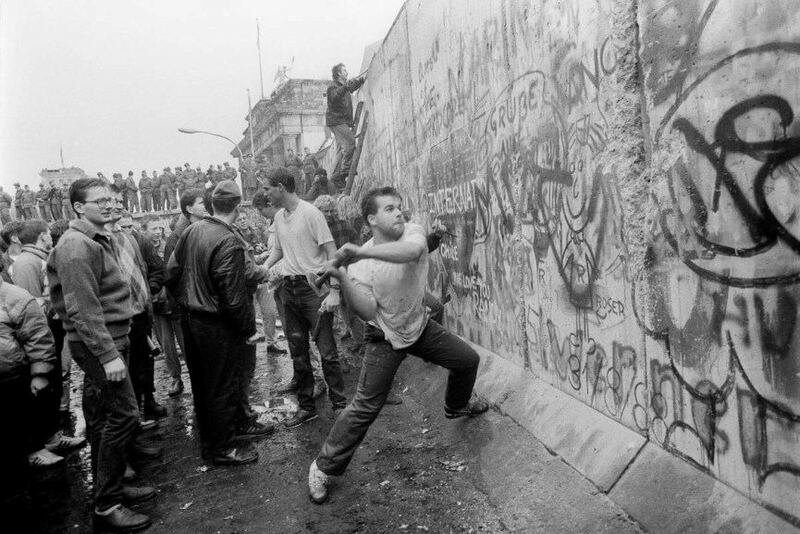 Walls of Freedom is a result of three years long work by 100 photographers and 100 artists. 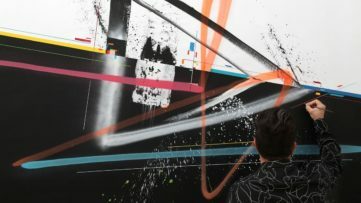 In this regard, the publication echoes what might be considered the primary task of street artists who create in an urban environment – a fight for freedom. 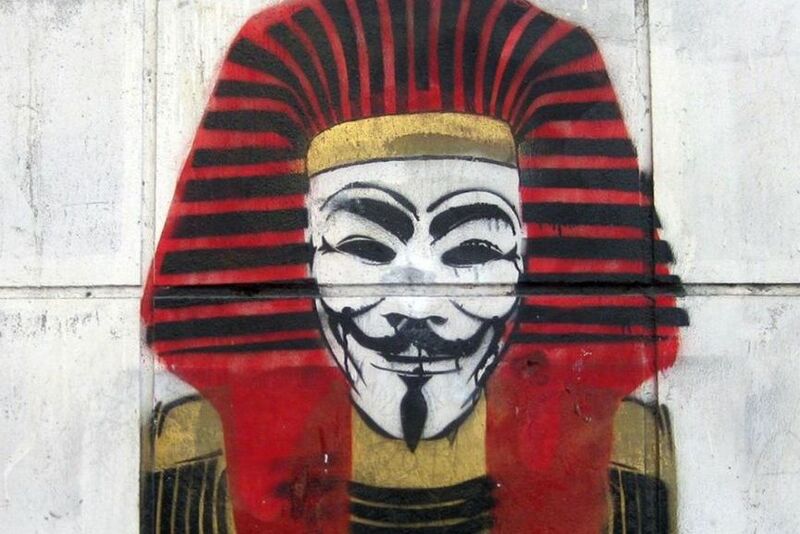 Featured image: Anonymous Pharao by Marwan Shahin, Alexandria (detail). When we talk about the “need for democracy”, we shouldn’t be oriented towards that almost innate feeling of this being a simple hollow truism and a sentence for propaganda. If there is a notion for which we could say that represents a politically charged expression, then it is surely democracy. However, democracy is merely a word. From it’s origins to today’s (mis)conceptions, it has been transforming its meaning to the point of grave complexities. This is why “democracy” has to be reinvented every time when it becomes a symbol for the transformation of a society or a banner for the fight for freedom. In this regard, we have an almost perfect example for a politically charged art expression for the end of our 10 favorites. 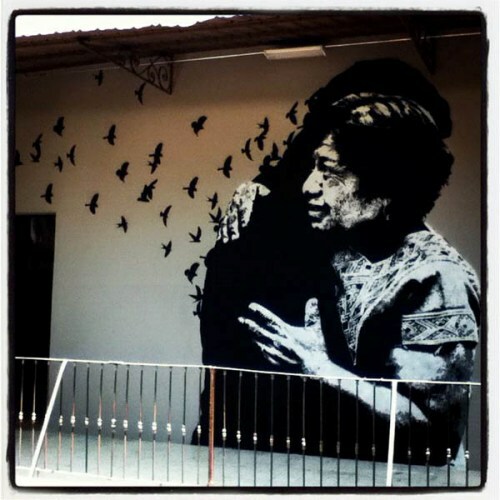 Members of the Mexican art collective Lapiztola Stencil represent a young force behind most of the street art that can be seen on the streets of Oaxaca today. 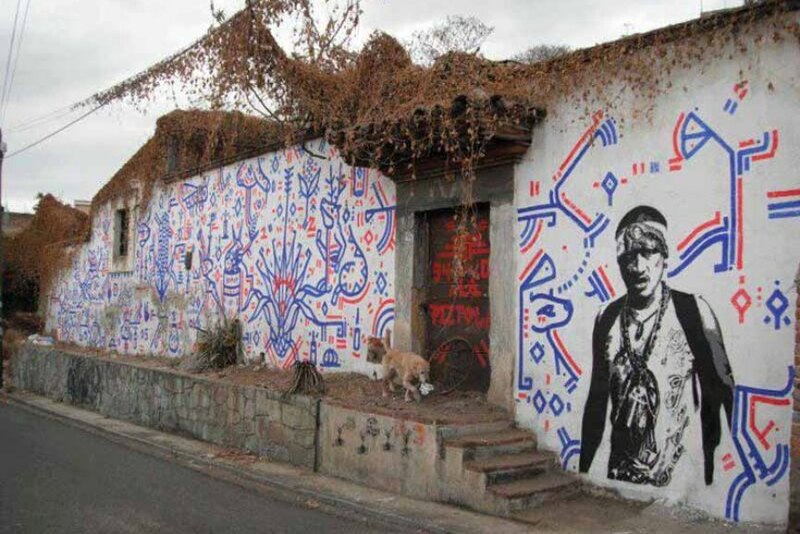 Following teachers’ strikes in this southern Mexican state in 2006 which were violently suppressed by the country, as well as political repression, grinding poverty, the perils of migration, threats to indigenous people and environmental damage, the group of young artists gathered around the same idea and began adorning walls of the city. The exhibition entitled Democracia real ya!, meaning “real democracy now!” will feature works by members of the Lapiztola art collective. Democracia real ya! opens February 6th at Mezzanine Gallery in London and will stay on view until February 25th, 2015.